Jenn and I were walking through Walmart, grabbing some hot chocolate. While we were there, I saw some yummy looking peppermint spoons. I thought they looked fun and cute, but $4.99 for 6 seemed a little silly. Funny enough while we were looking at Christmas stuff, there was the spoon mold just SITTING there! You can find the Wilton Spoon Mold here for $7.99. 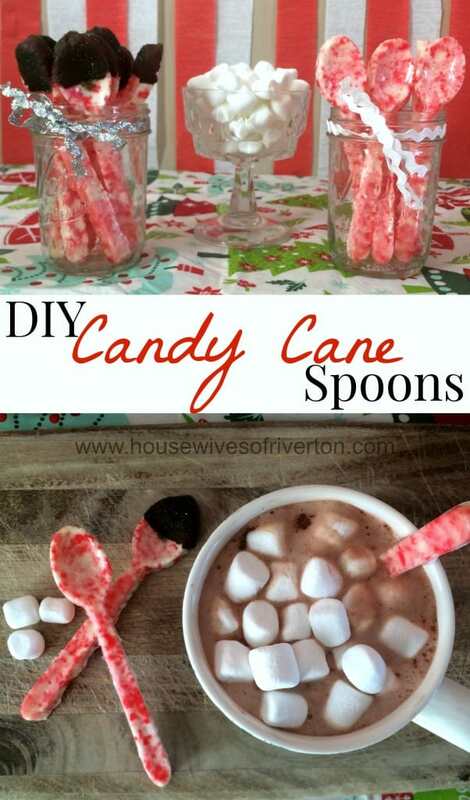 I figured it was way better to pay $7.99 once and get to make all the candy cane spoons I want! 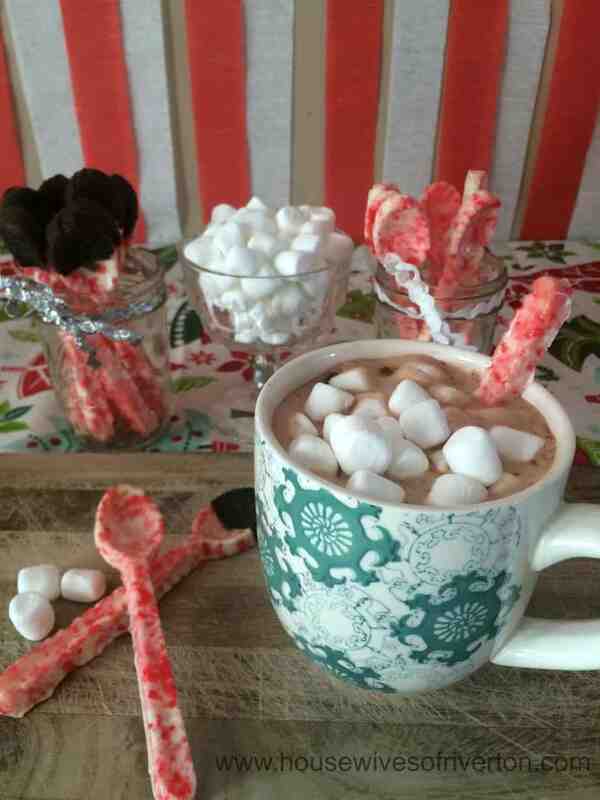 These were so easy to make and my kids loved them. 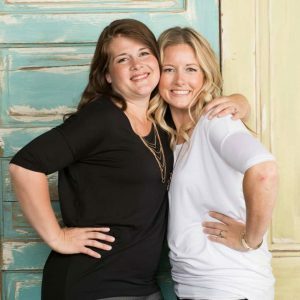 It was hard to get them to keep their hands to themselves to get some pictures! So here’s how you put them together. Preheat your oven to 300 degrees. Put your candy canes in a zip-lock bag and using a rolling pin, kitchen mallet, or really heavy, unbreakable anything to crush up your candy canes. 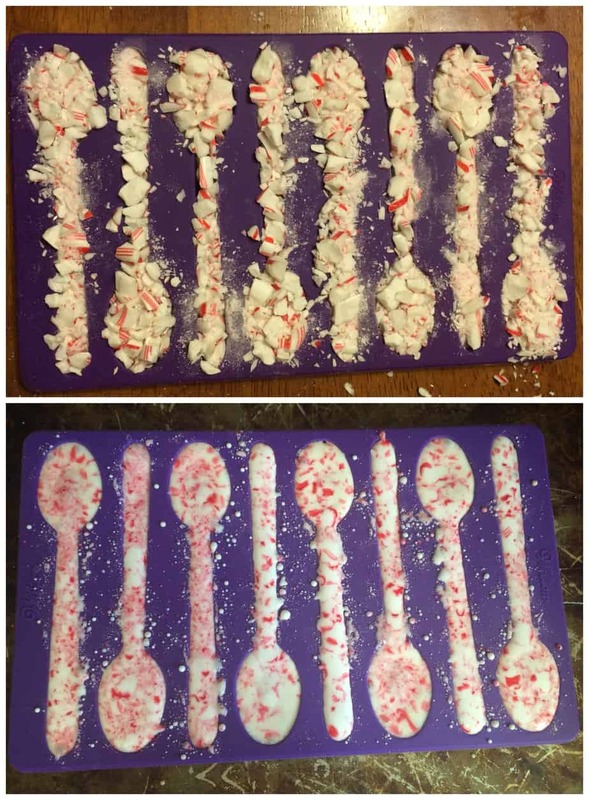 Place spoon mold on a cookie sheet and spoon the crushed candy canes into the spoon molds, Bake for 10-15 minutes until the candy canes are melted. Bring them out of the oven and sprinkle more crushed candy canes in the thin spots. Bake for another 5-10 minutes until melted. Remove from the oven and cool completely. When removing from the mold you need to be very careful as to not break them. You can keep them plain or you can dip the ends in melted chocolate chips and sprinkles. I also used these for a fun, preschool birthday treat for Hudson to give out to his friends! Tell me what your favorite hot chocolate mix in is! I need to make these! So cute!